The Nursery & Garden Industry will hold its National Conference this year at the Darwin Convention Centre, April 19 - 22. The exciting event will explore many of the issues confronting the industry. The Nursery & Garden Industry will hold its National Conference this year at the Darwin Convention Centre, April 19 – 22. The exciting event will explore many of the issues confronting the industry and is a must for all growers, garden centre retailers and others with a stake in the nursery and garden industry. The nursery industry faces many challenges, particularly related to the weather and in more recent times economic pressures have also been an issue. While recognising these challenges, the theme of the conference – Grasp Your Opportunities – is a positive and motivating one. Conference sessions will look at factors which will continue to impact on businesses into the future – the economy, environmental issues, staffing and bio-security. The sessions have been designed to inform and stimulate you to identify opportunities facing your business. Guest speakers include – Judy Horton (Conference MC); Gerry Wood; Neville Norman; Annette Gillanders; Trevor Cochrane; Rod Turner; and Tanya Ha. The social program also allows for fun, networking and relaxation including a fascinating night with the crocodiles at Crocosaurus Cove, and a Territory rig theme night run by the NextGeners. The National Conference also incorporates the Awards Gala Dinner on Thursday night, which will be an inspirational note on which to finish the conference. 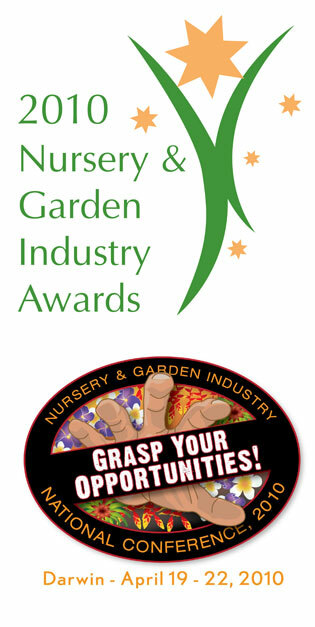 The Awards will acknowledge excellence in the nursery and garden industry. Outdoor Design Source is a proud sponsor of the NGIA National Conference and the NGI Industry Supplier Award.